Advanced scouts farther north are signaling that the boys are preparing to soon move south in big numbers. This, they predict, will be a major invasion years. Get ready, the finches are coming. Every 3 to 5 years the wild seed crops in Canada are not up to par. That means that birds that normally winter in Canada will not find enough food to eat and will head south in search of a meal. So clean you finch feeders, stock up on thistle (also called nyjer) and prepare to watch for strangers at your feeders. 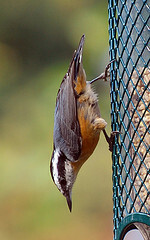 Already this year there are reports of many Red-breasted Nuthatches in Westchester. Last year there weren’t any. 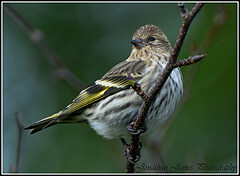 Counties a little farther north in NY are sighting lots of Pine Siskins. Be on alert. There is hope that Redpolls will also be spending the winter in our area. Some people are also predicting that Crossbills and Grosbeaks are on the way. Of course, those are the same people that predicted the Yankees would win the World Series and the South would rise again. Still, it is good to have a dream, something to hope for. You never know. Today was the day for a regularly scheduled torture session with my friendly dentist. Actually, he is an excellent dentist and a good story teller so these visits are enjoyable. Today he told me about a hiker in the northwest who became separated from the other members of his group. He was lost and alone. After a few days of eating only berries, intense hunger added to his sense of loneliness. He had noticed salmon in the clear stream nearby and was determined to spear a salmon using a sharpened stick. He waded into the water jabbing at a few fish without much success. But his aim improved with each jab. As he slowly approached a large salmon resting by a rock, a Bald Eagle swooped gracefully from the sky and grabbed the salmon. Angry and frustrated he picked up a rock and hurled it at the eagle hoping to make it drop the salmon. By shear accident the rock actually hit the eagle in the head and killed it. The fish fell into the stream and swam away. The dead eagle landed at his feet. “An eagle” he thought “is like a chicken only bigger. And I’m starving, so why not?” He managed to start a fire and cook the eagle, his first meal in three days. Later that afternoon a rescue team finally reached him in the woods. Much happiness all around. The rescue team couldn’t help but notice all the eagle feathers scattered on the ground. So he told them his story of hunger and his lucky throw. They understood. However, they explained that it is illegal to kill an eagle. So they were required to report the incident. But everyone was confident that once he told his story to the judge there wouldn’t be any consequences. Any there weren’t. The judge realized that when you are starving in the woods you will eat whatever food you can. So he dismissed the case against the hiker. That story caused more pain than the dental work. The web has a ton of videos, some humorous or semi-humorous and some not so funny. When you are experiencing job stress or a bad hair day, a little laughter can be therapeutic. When you have a minute or two, follow the link to view “Sh*t Non-Birders Say”. Despite the title it isn’t profane and has some chuckles. I haven’t posted any birding news for a while because, well, I have actually been birding. I joined a group from Saw Mill River Audubon for a coastal birding trip to Delaware and New Jersey. 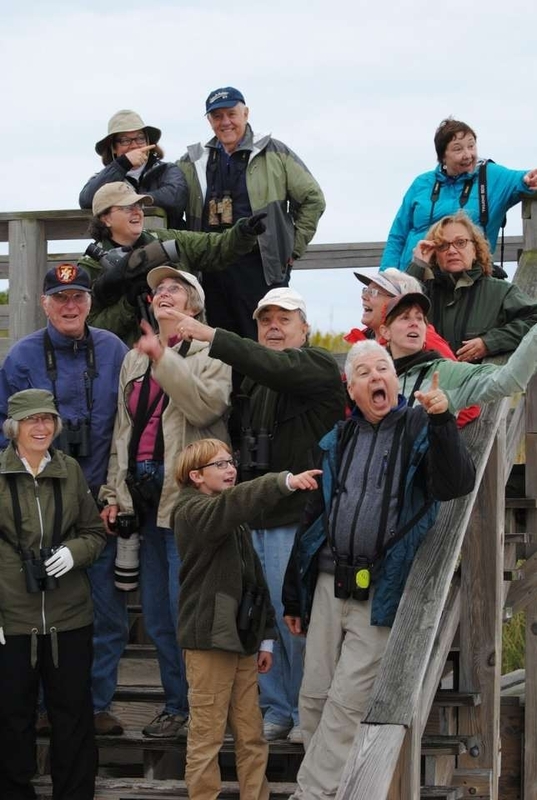 We hit the birding hot spots along Delaware Bay and the Atlantic coast including Bombay Hook NWR, Prime Hook NWR, Cape May, and Brigatine NWR. Our group racked up a total of 131 species. However, sheer numbers don’t do justice to the trip. Although I didn’t know most of the 14 participants before the trip we were all friends by the end – a really nice group. And as this photo shows we were very good at pointing out rare birds. We enjoyed birding, travelling and dining together. This was my first overnight organized birding trip (except for one I led to Cape May many years ago). Of course, the primary purpose of the trip was to view birds. And we did. I saw maybe 75% all the birds seen by the whole group. That was nice. The trip also represented a change of pace, a chance to get away from daily life and do something different. Osprey love fish and are good at catching them. Bald Eagles also love fish. I have often read that after an Osprey catches a fish and is flying toward a branch to perch and eat it, an eagle will harass the Osprey hoping it will drop the fish and eagle can swoop down and eat the fish itself. I’ve never seen this behavior – until this trip. An eagle tried bullying an Osprey for 5 minutes but the Osprey held onto its fish. But eventually the Osprey did let go of the fish, much to the delight of the eagle. A cool behavior to observe. We arranged a visit to a raptor-banding site in Cape May, where they capture raptors, weigh and measure them, place an ID band on their legs, and then release them. They save 3 recently captured birds ( a Coopers Hawk and two N. Harriers ) We got good close-up looks and then watch the released bird fly away. I was amazed that a bird in hand is not as large as it appears in flight. All-in-all it was a successful trip on many levels. Last night I attended a screening at the Jacob Burns Cinema Center in Pleasantville of a new film, Birding: The Central Park Effect. The film tried to explain why birds and birders flock to Central Park. The cinematography was great – close up looks of over 50 species, including Scarlet Tanager, Rose Breasted Grosbeack, plus a dozen warbler species and others. Seeing the images of these colorful birds projected 7 feet tall on the large screen was stunning. As films go, it was only so-so. But for the scenes of birds and the natural area of Central Park it was super. To me, the best part of the evening was the fact that the entire 250-seat theater was sold out for the film. It is somehow comforting to realize so many people are interested in the simple joy of nature and birds. There is a regular community of local birds that can usually be found in your neighborhood. You might see the most common backyard birds (chickadees, robins, sparrows) every day. Others you may only see every now and then. And sometimes a bird shows up that you have never seen before. That’s exciting. That happened to Betsy who found this bird at Beechmont Lake in New Rochelle. She knew she had never seen this bird before. With its bright pink legs and distinctive color pattern it stands out from the common water birds. But what is it? She could find it in any field guide. That is why it isn’t found in most field guides. What is it doing in New Rochelle? How did it get there? We will never know with certainty. Birds fly, often great distances. And they are tiny. Strong winds, like those associated with hurricanes and major storms, can easily blow them off course and far from their normal territory. That is why rare birds often show up in your area. 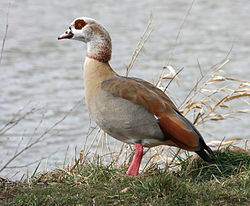 It is unlikely that this Egyptian Goose was accidental blown across the Atlantic in a storm. It is more likely that it was a captive bird (held for aesthetic or scientific purposes) that escaped and now is living here – an illegal alien. 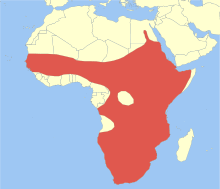 I am always surprise at how often a “rare” species is discovered in this area. In the last three years we have been visited by a Fork-tailed Flycatcher from S. America, a Northern Wheatear from Greenland and Europe, Rufous Hummingbirds from the northwest, Calliope Hummingbirds from California, European Goldfinch, and others. All found locally. Although we tend to see the common birds, you never know when a “rare” bird may appear. Keep your eyes open for one.